Why Does Meghan Markle Break The Rules So Often? Experts Believe She Simply Wants To Make Protocol More Modern! The British royal family is one of the most ancient and popular European monarchies, also known for its strict rules. However, its representatives often violate some of its main protocols. For example, a few months ago, when the Trumps couple had arrived in London with an official visit for the first time, not only were they widely discussed, but also were highly unlikely to appeal to Her Majesty. Meghan Markle is one of the most discussed daughters-in-law of the strict ruler. This is mostly because of her ignorance, adaptation, and several changes to the existing rules. 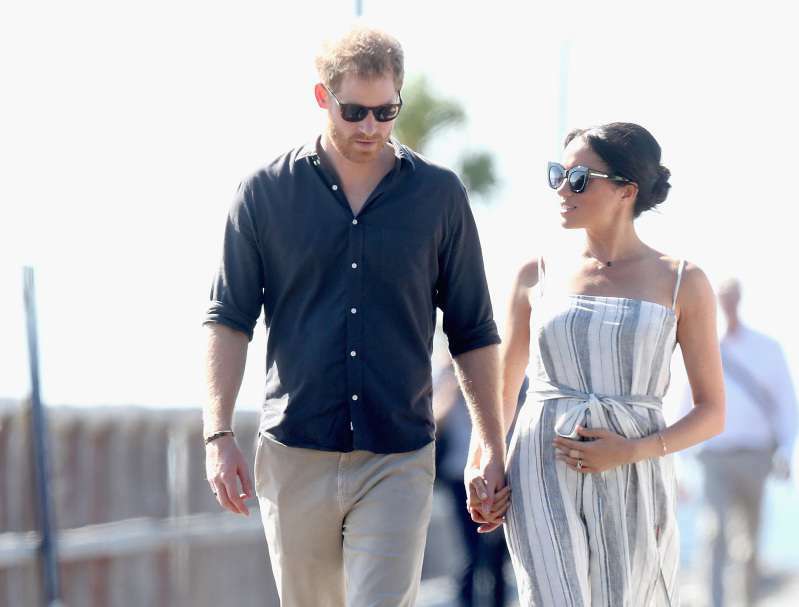 Royal expert Claudia Joseph, in an interview with the Mirror, claimed that Prince Harry’s wife deliberately went against certain rules in an attempt to modernize the monarchy, which can truly be called overly conservative for the 21st century. In her opinion, the media is interested in Meghan’s willingness to expand those borders. However, some of the Duchess’ crucial steps can cause displeasure among the British “old school.” It also seems that Princess Diana, who also loved to break the rules, could have been proud of her daughter-in-law. Today, we want you to recall some of the Duchess’ most famous protocol breaches, besides negligence in hairstyle and frequent absence of tights. 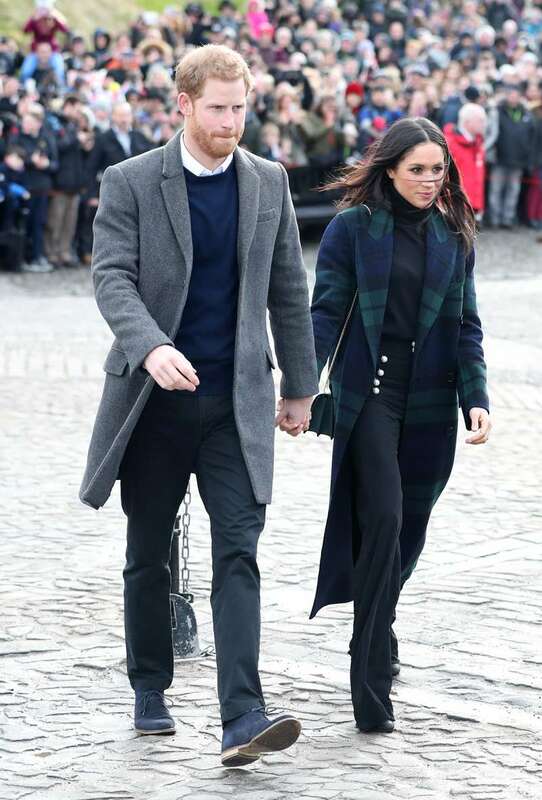 Trousers and trouser suits are the clothes not quite popular among the royal family representatives. All these years, Elizabeth II has been faithful to her “corporate” style. 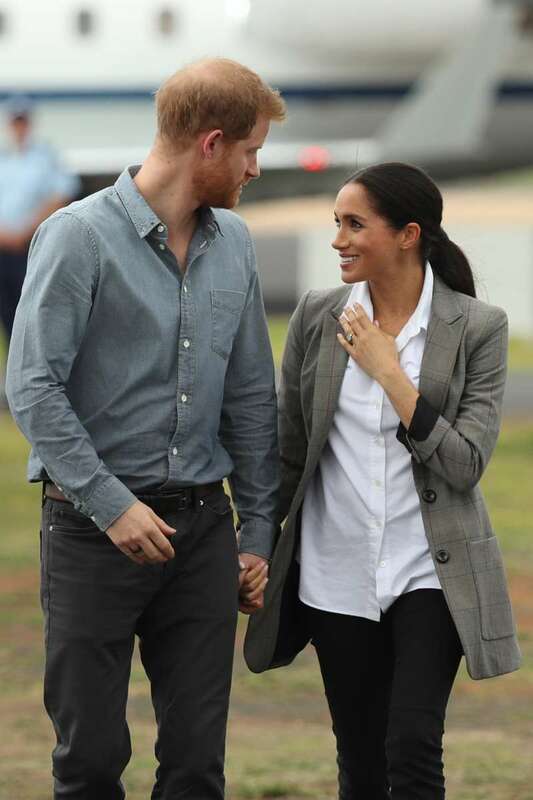 Meanwhile, Meghan immediately started appearing at formal events in trousers, changing her ideas about court fashion. Totally black images is another example of defiance. Her Majesty and Kate Middleton preferred pastel and light colors. They wore black mainly on the days of memory or tragedy. Meghan has a lot of clothes of this color, though. Open sundresses, as we saw Meghan in during her first overseas tour, were a very unexpected decision, although it suited the Duchess very well. 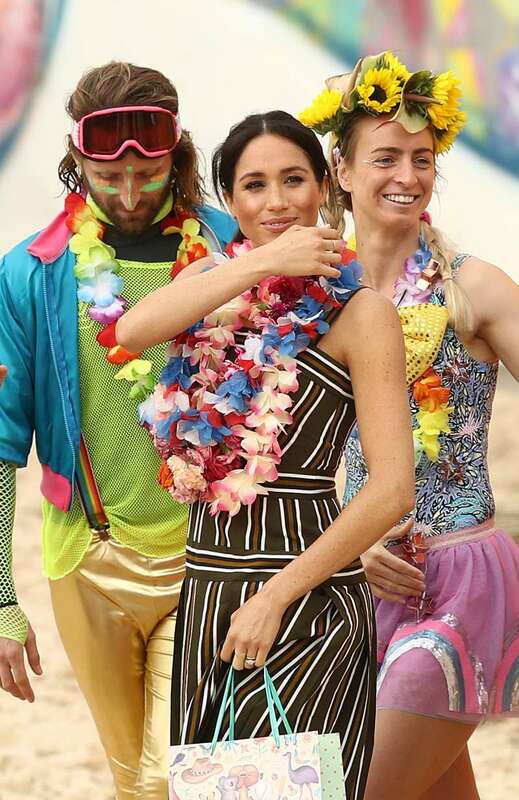 Meghan has broken the protocol not only in clothes. She has once turned her back to Her Majesty, thus, showing her disrespect. 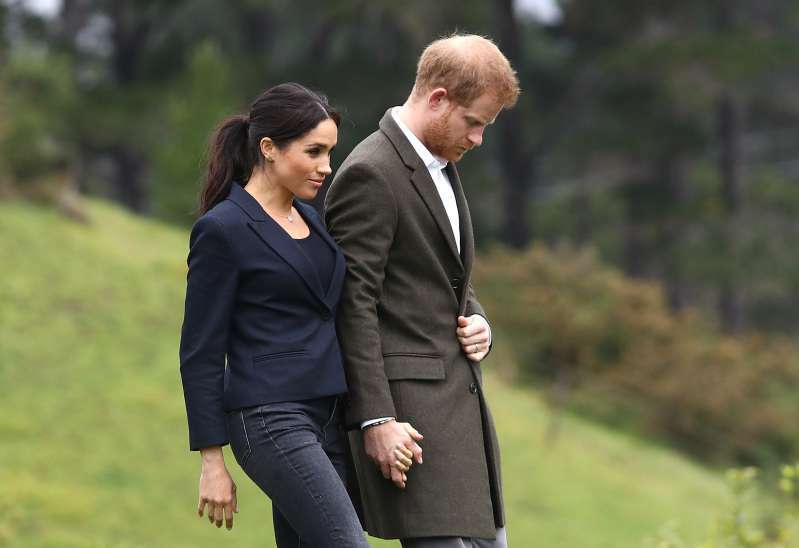 Public displays of affection has become normal not only for Meghan and Harry, but also for many other rather conservative admirers of the royal family. Apparently, Prince Harry’s spouse isn’t in a hurry to get rid of two more habits: putting her hands in pockets and sitting on her feet. 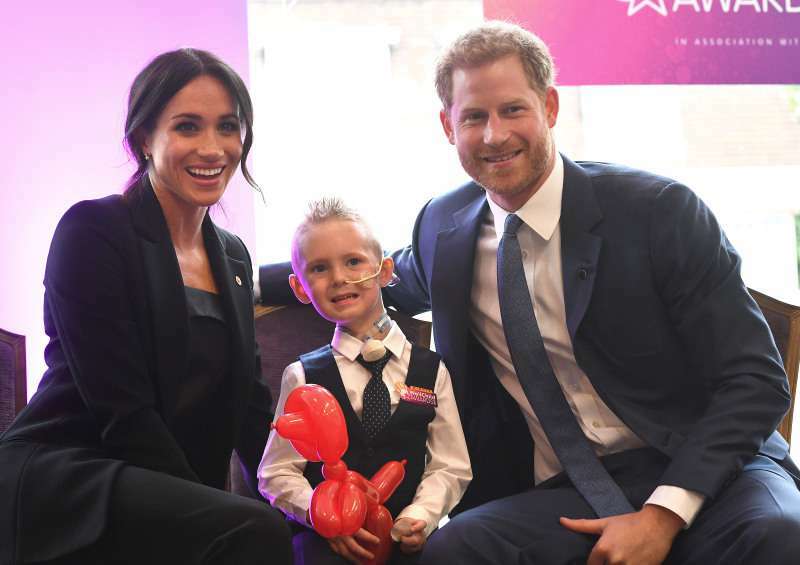 By the way, one of the latest public appearances of the Duchess became even more “scandalous” when she allowed herself not only an open evening dress but also dark nail polish. The British protocol strongly recommends using light colors. All in all, the rules aren’t as strict as we can imagine, but royals prefer to adhere to the Queen’s style system. So, why does Meghan ignore these norms? Is she trying to continue her former lifestyle as long as possible? Maybe she simply doesn’t consider them important? Maybe she simply wants to modernize the monarchy? What do you think?